Square Definition - What Does Square Mean? 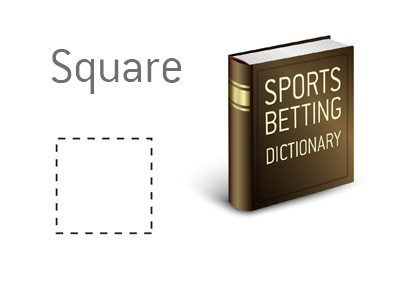 In sports betting, a "square" is somebody who is considered to be a casual bettor. Unlike a "sharp", bookies love squares because they tend to lose their bankrolls betting on their favorite teams. Let's say that a square really likes the Seattle Seahawks. The Seahawks are playing at home against the Jaguars and are 1.07 to win straight up. The square would likely bet the 1.07 line, sure that the Seahawks would be able to win at home. Betting on such a big favorite is usually a sucker's bet. Bookies rely on squares to jump on these types of lines, while the sharp bettors will usually look for value in the underdogs. Square bettors pay for the new buildings that are always going up in the Las Vegas skyline.